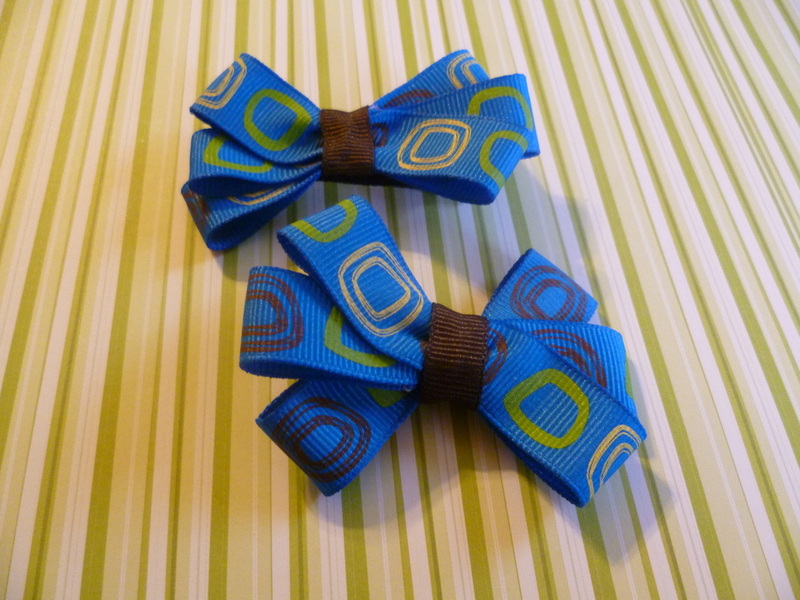 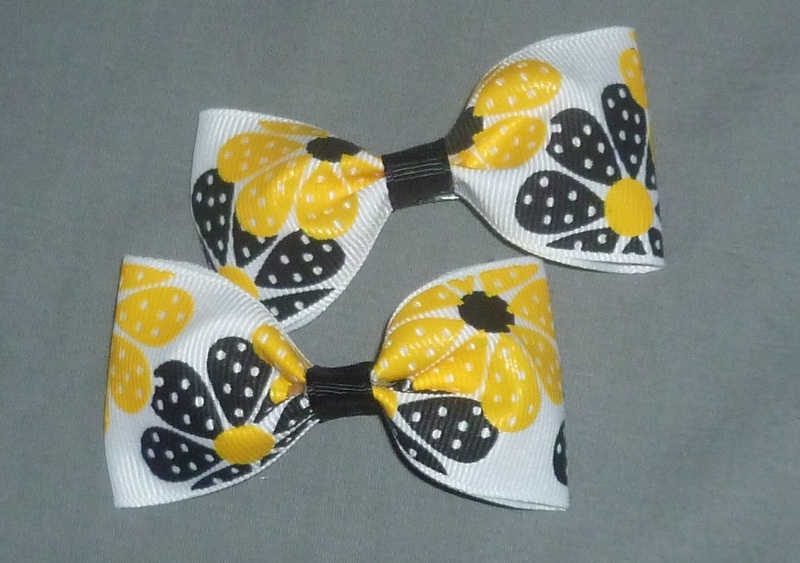 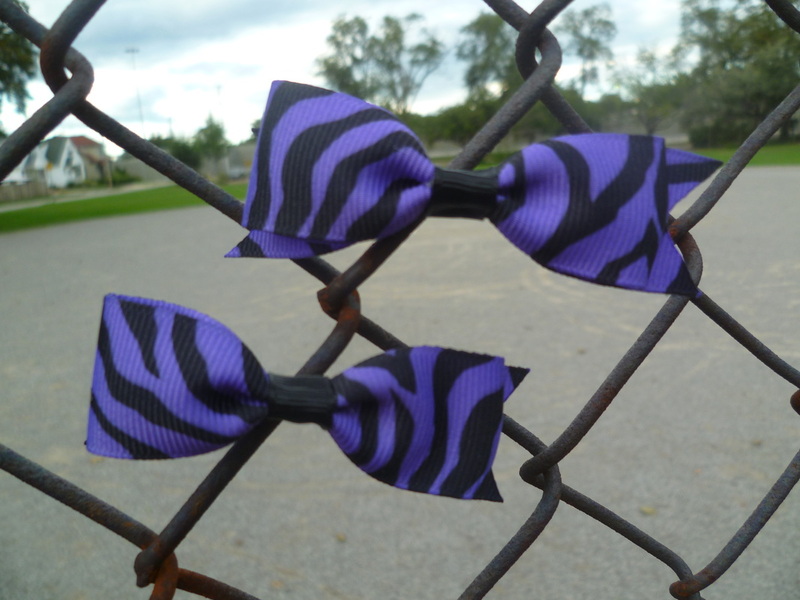 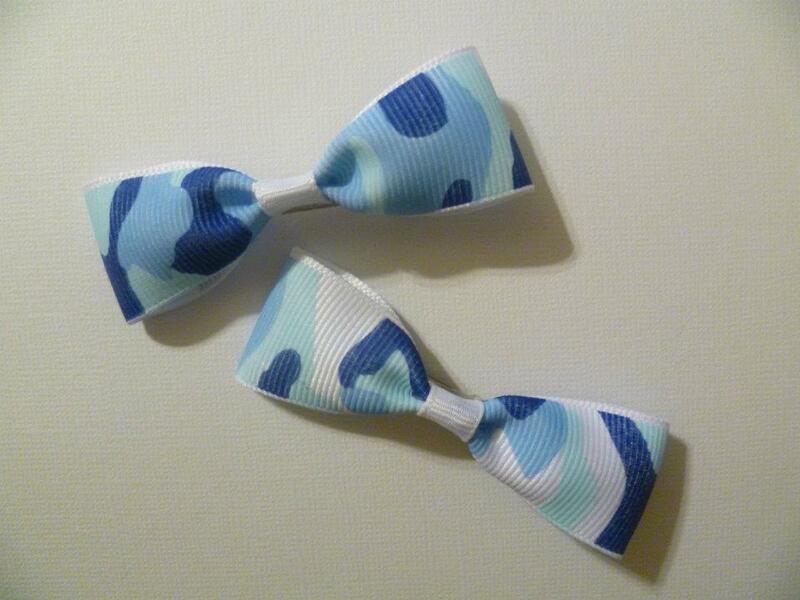 All of our bows are made on alligator clips and all our ribbon is heat sealed to prevent fraying. 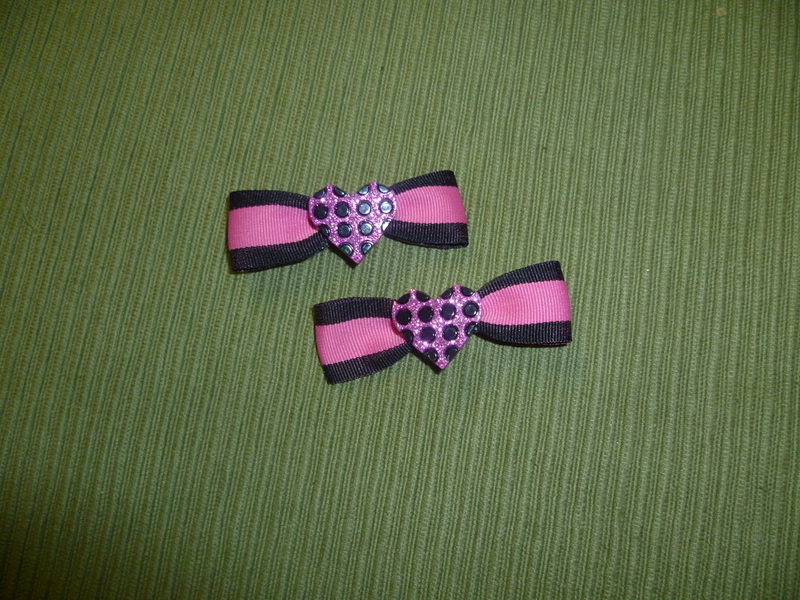 Some bows are fully covered and some are partially covered. 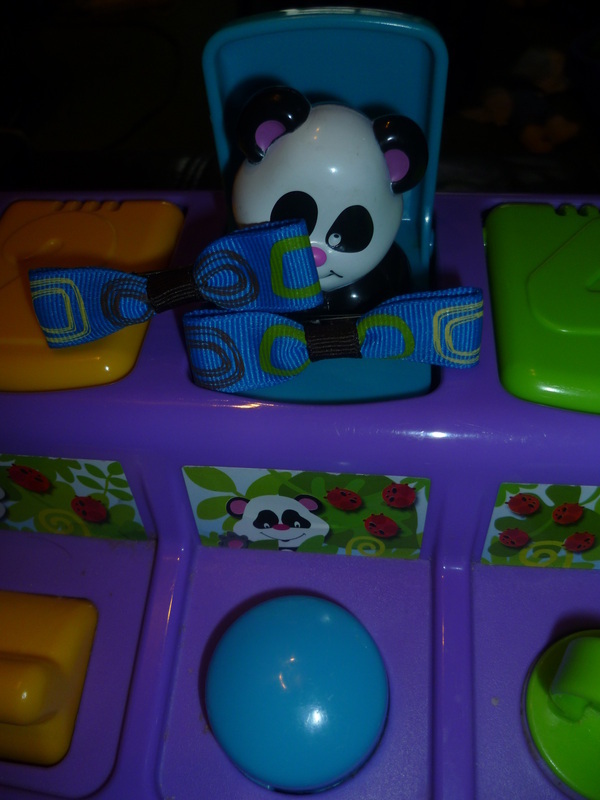 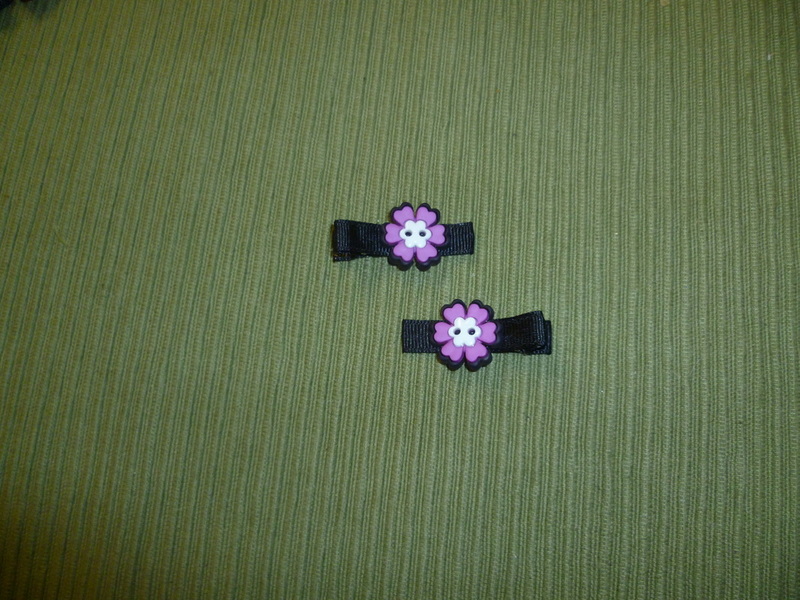 These adorable skulls are on lined alligator clips and would make a great addition to any outfit! 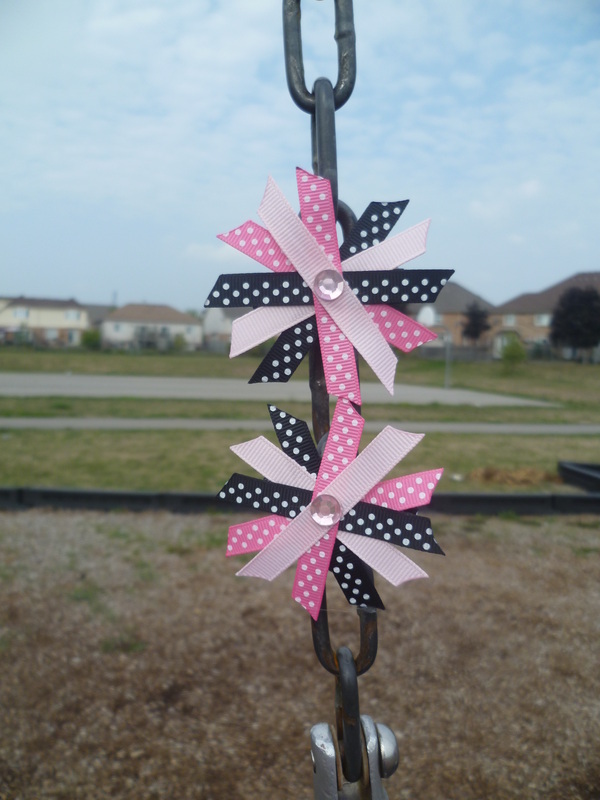 These pink and black flowers are adorable and would make a great addition to any outfit! 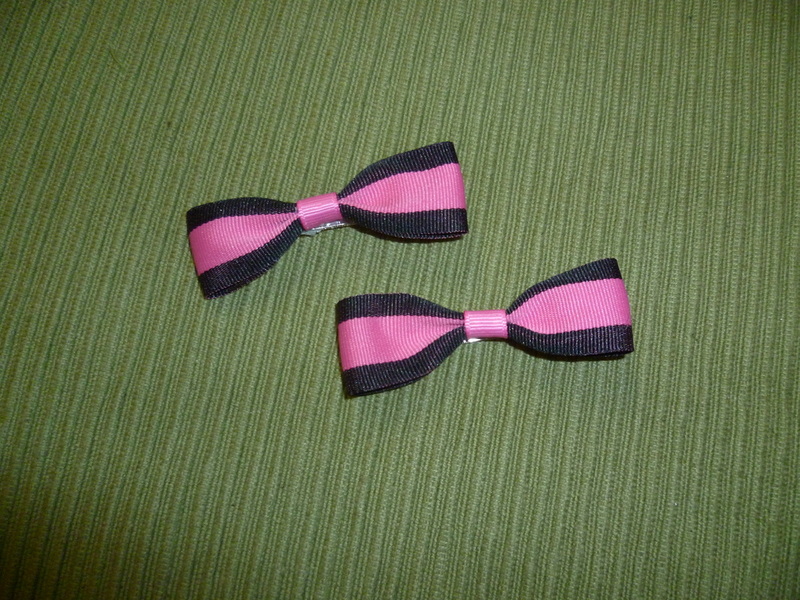 These pink and black bowtie clips are on an unlined alligator clip. 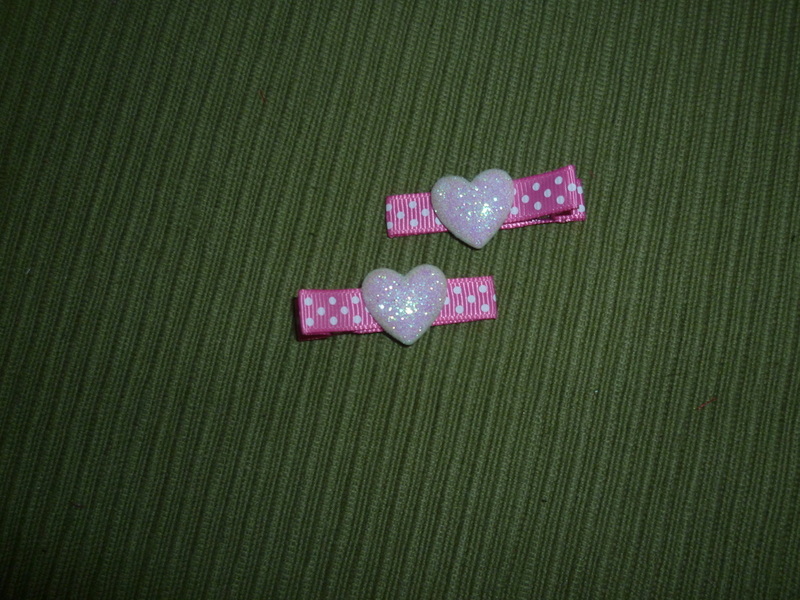 They are super cute as an addition to any outfit. 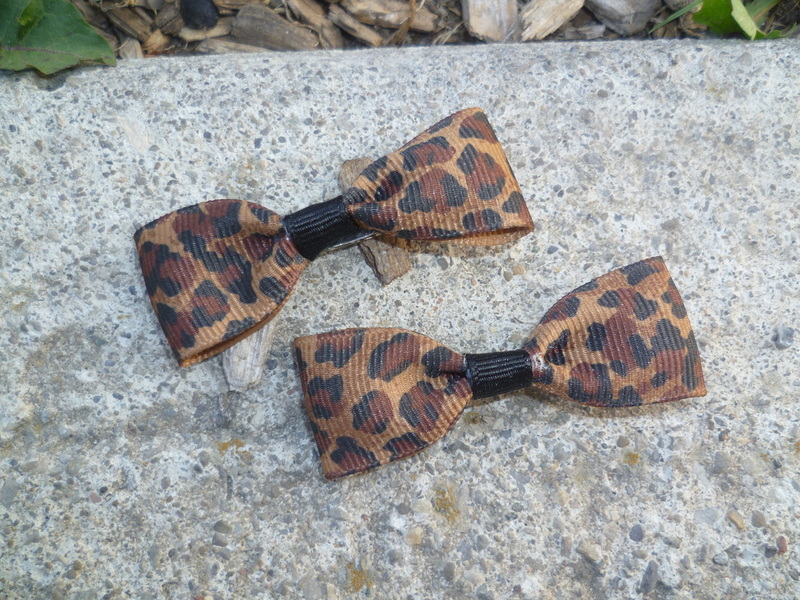 These lovely bowtie clips have an extra little bling to make any rocker chick happy!